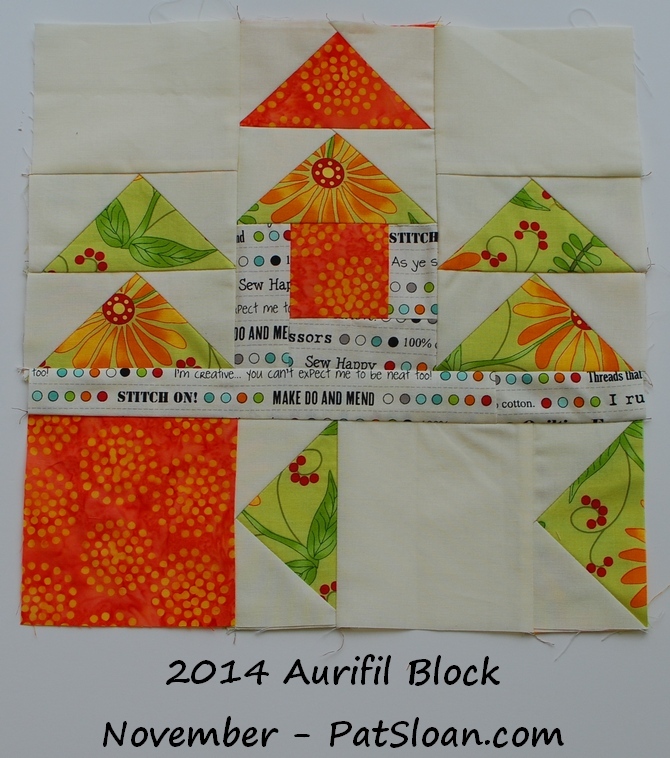 Welcome to our November Block of the Month! I’m Designer/Radio show host PatSloan! Our Designer this month is Scott Hansen of Blue Nickle Studio. I first meet Scott during a blog hop and was immediatly drawn to his use of color and fabric… but after that.. his design style is what really hooked me and I’m so happy to have gotten to know Scott! He and his family live in Sultan, Washington, USA. I am always thrilled to get to know more about each designer when I interview them. Scott’s interest in design runs deep, you’ll see he has been creative all his life, and I bet many of you can relate to that. Let’s get to know Scott! My understanding is that both “tops” were given to my Grandma from the neighbor lady sometime in the late 40’s. I still have it, but it is in pretty rough shape. I need to get it repaired so it can be used again. That was about it for quilts growing up. 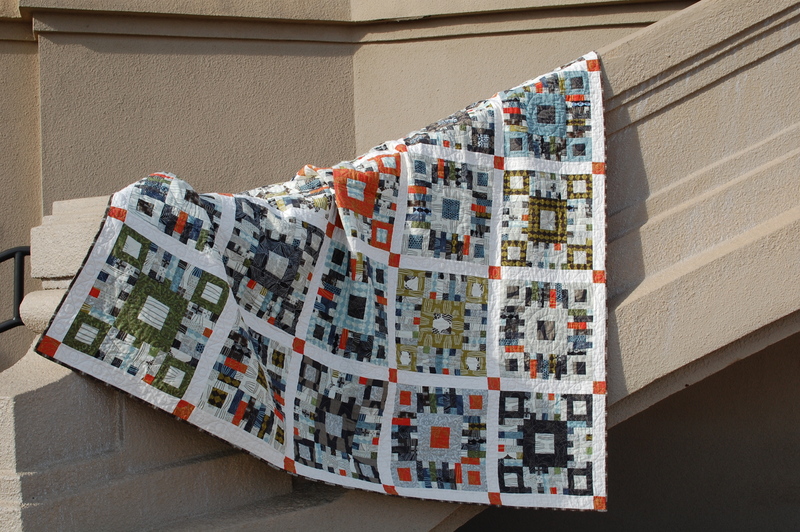 And then I made a quilt for myself when I was in Junior High in the late 70’s. 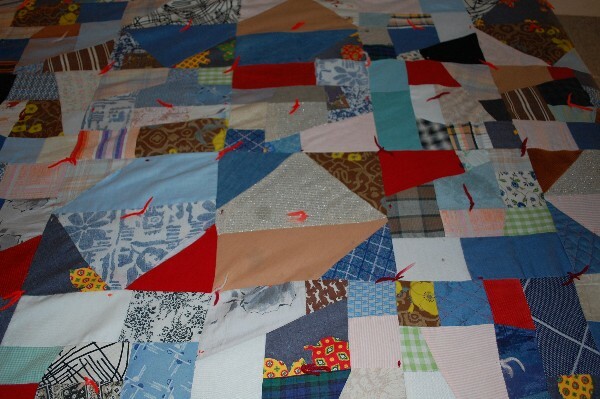 It was a crazy quilt that I cut from my mother’s sewing scraps. I didn’t make another one until after I was married. 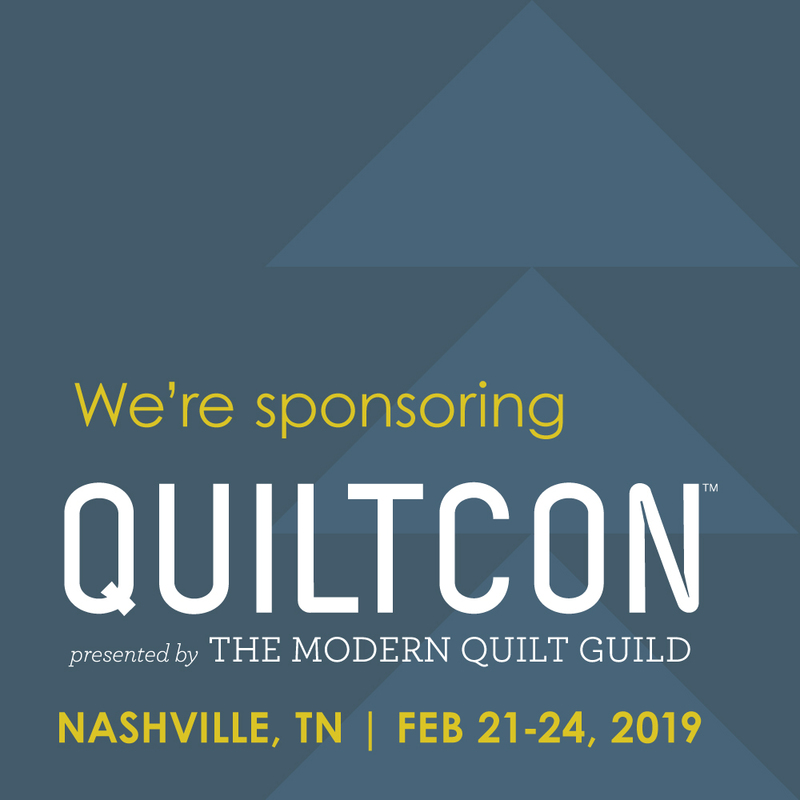 My wife and I went to a quilt show, and that pretty much got me going after that. I have always loved “old” stuff and that was the original draw for me. 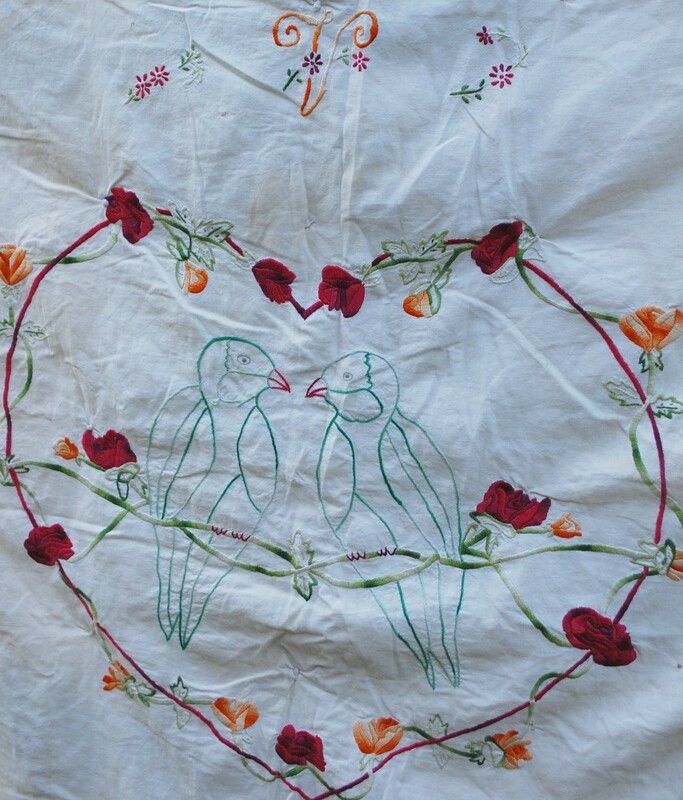 I loved that the few antique quilts that I had picked up along the way had been part of the past. That someone made them with love and purpose. 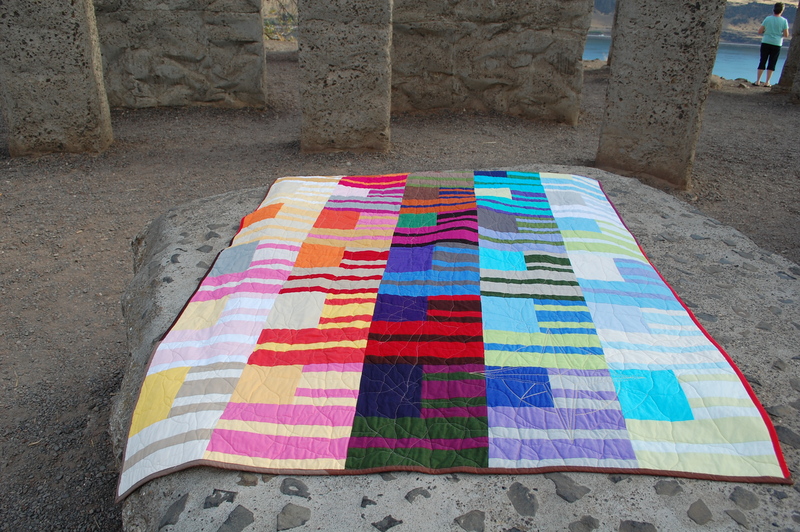 That “soul” connection along with the wild play of color and pattern in my favorite quilts is what drew me in, and once I started making my own, I understood that even better. 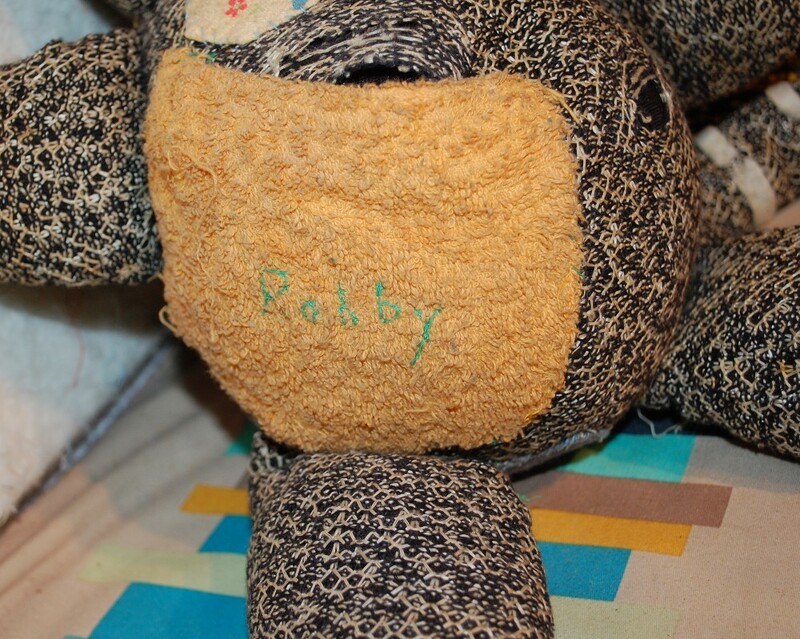 Since you said “project” that would be Robby the Raccoon and I made him in 4th or 5th grade in cub scouts. 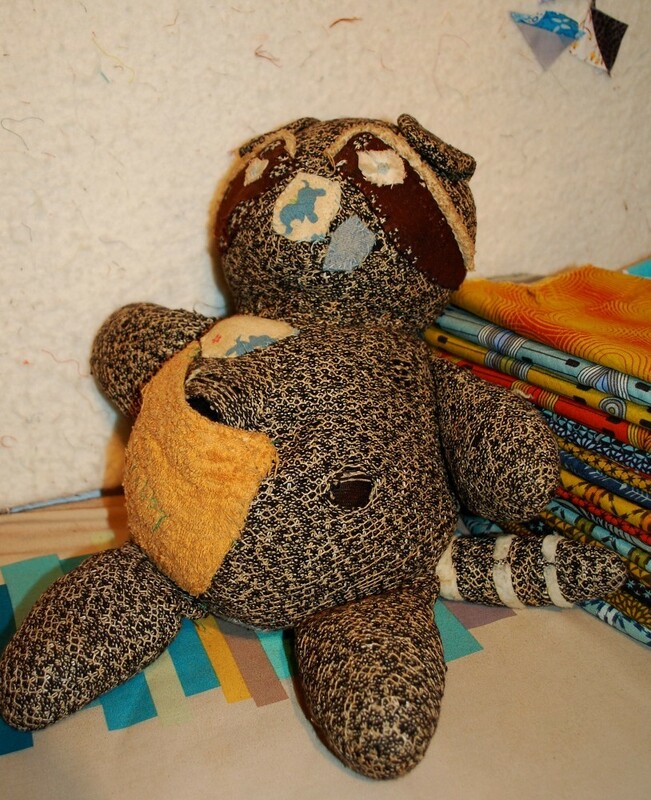 I don’t actually remember sewing on him though! 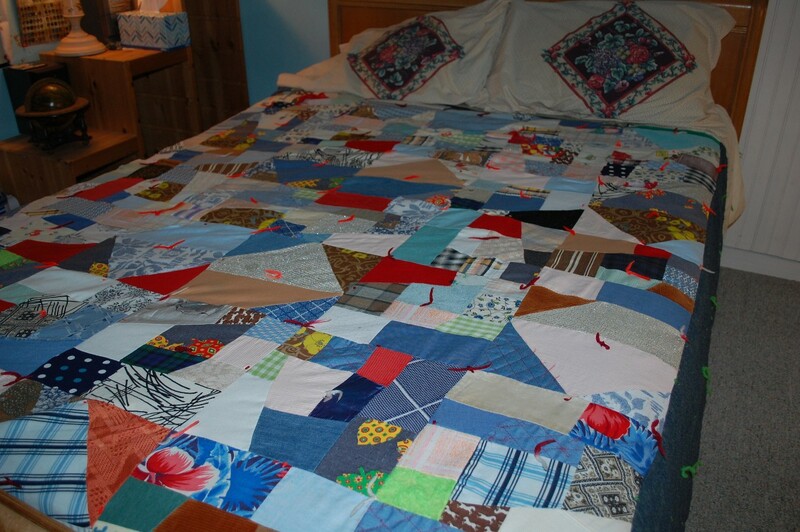 I also have the first quilt I made which was probably 4 or 5 years later. 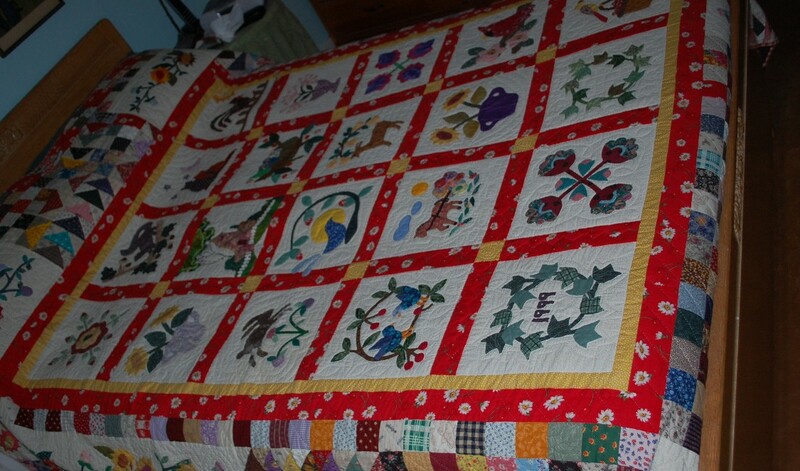 My mom and I knew very little about quilting. Mom sewed all of our clothes, but no quilts. When I go to a quilt show, the quilts that draw me are mainly the ones that use a cacophony of color. 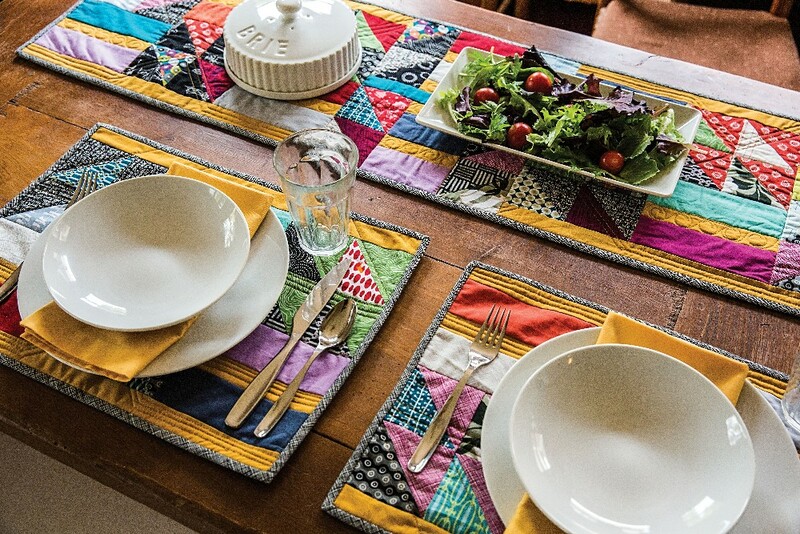 I like lots of color and pattern and design; the more complex the better. 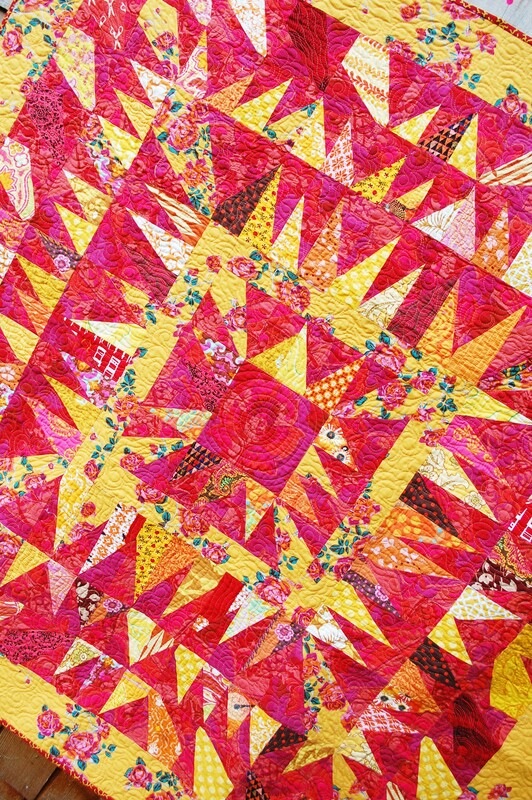 I love getting lost in the busy-ness of a quilt. I love unusual color combinations. 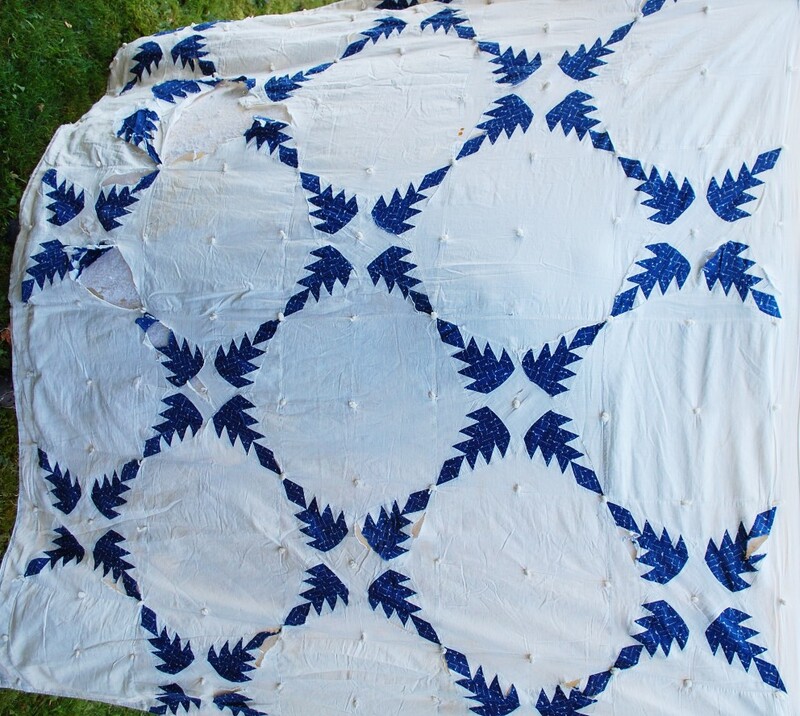 I also love looking at intricately hand-quilted quilts. Those are less common these days and often the work is amazing on hand-quilted quilts. We all have parts of the process we ‘prefer’ more than others. 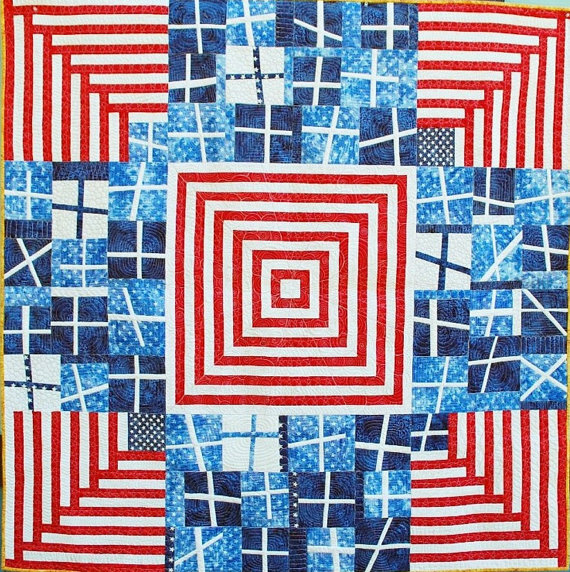 What part of quilt making do you ‘Prefer’ most? least? The part I like the least is cutting out fabric. I want to get to seeing my vision come to life and cutting seems to slow that down to me. I typically design on a graph, usually first on graph paper with pen or pencil and then on Illustrator to get the measurements to fit. Often I don’t necessarily start with colors in planning. I just jump right into it, letting the fabrics “speak” as I go. That’s what I really love, seeing my design come from such a humble and sketchy concept to something beautiful and appealing. This doesn’t always happen, but usually projects come out at least as good as I expected, and sometimes, to my joy, they come out even better! Also, I LOVE binding a quilt (when it isn’t under deadline, that is) I love the rhythm and flow of hand stitching the back of the binding down to the quilt. I think another reason why binding delights me is that this means that project is almost done. I have finished creating something beautiful. 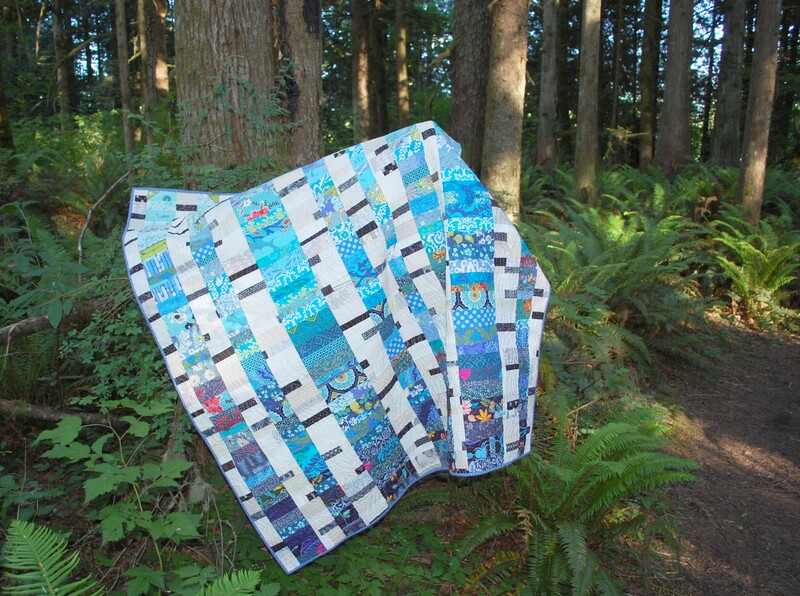 I hire out most of the actual quilting because I just don’t feel that I have the time for that, and I am itching to get onto the next project. 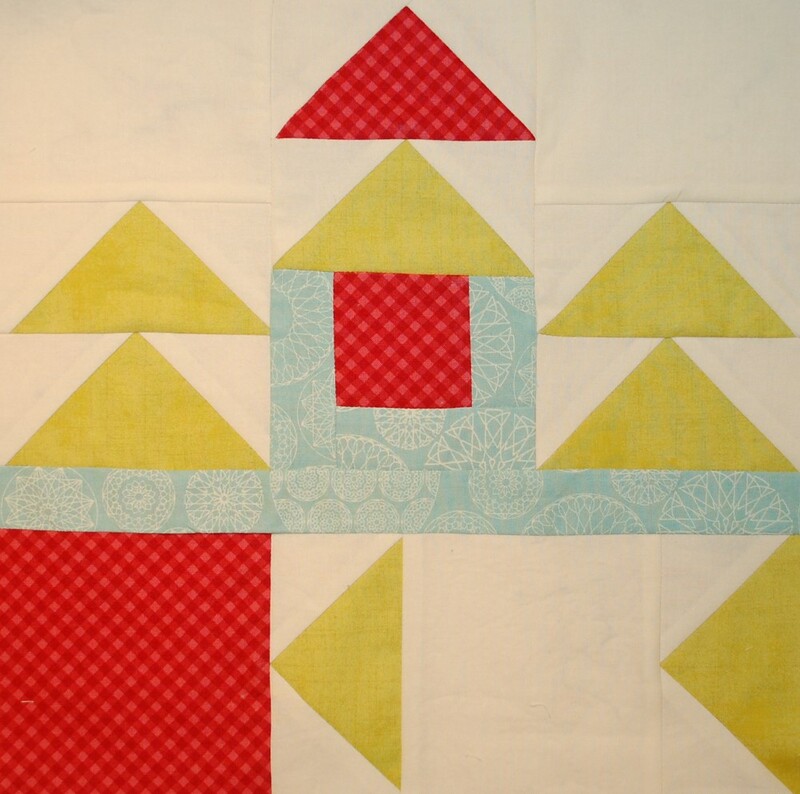 I don’t think I mentioned applique…that one is hand quilted and with many applique blocks. It was a gift for service points in a quilt guild I used to belong to. I love it so much!!! I designed the layout, but most of the blocks were from a pattern…I think it was Fair Meadow or something like that…..you might remember it….it was 1999…..
Up until 2 years ago, I worked in retail management for a small local Seattle company. And then in my late forties, I switched to working for Costco, and started at the bottom pushing carts. I am now a supervisor in a warehouse closer to home than I have worked in the last 22 years and loving it! That is what I have done for a main income all this time. I don’t know that Blue Nickel Studios will ever be our main income, but I plan on designing and creating quilts for the rest of my life. I have always loved art in one form or another, when I was young, I drew all of the time, and then I wrote stories as well. Even though I created my first quilt in my teens, I never really thought about needle and thread until I got seriously hooked on counted cross-stitch in my last years of college. I loved how I could “embroider” without worrying about inconsistent stitches. I miss cross-stitch sometimes, but I remember how much longer that process took, and my eyesight isn’t quite as keen anymore either. My Favorite place to visit in Sultan, Washington would have to be Osprey Park down the road from our house. It’s a short walk there, and then you can go for a walk in the woods most days of the year near the river and away from town. It’s so peaceful there. And it’s great for inspiration as well as photo shoots for my quilts and my wife’s dolls. 2140, 1100, and 1148 If I have to pick three. I love the brilliant colors of them. 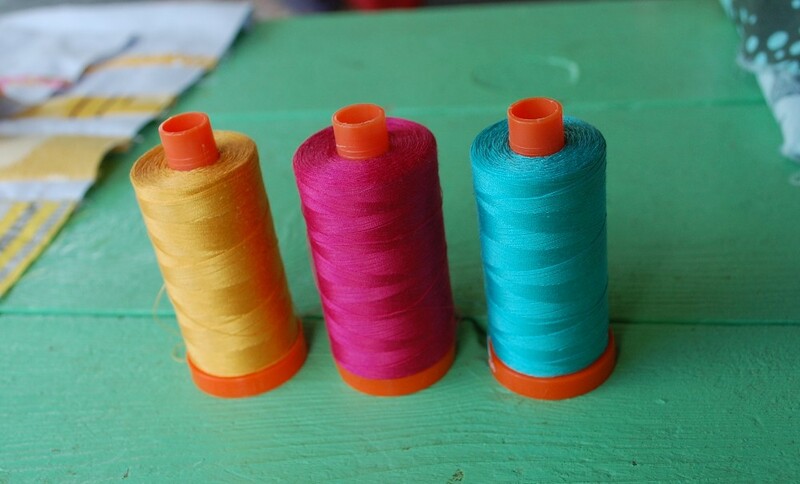 And I am also falling in love with Aurifil Floss on the wooden spools….Beatiful in and of themselves! Oh, such a mess right now. 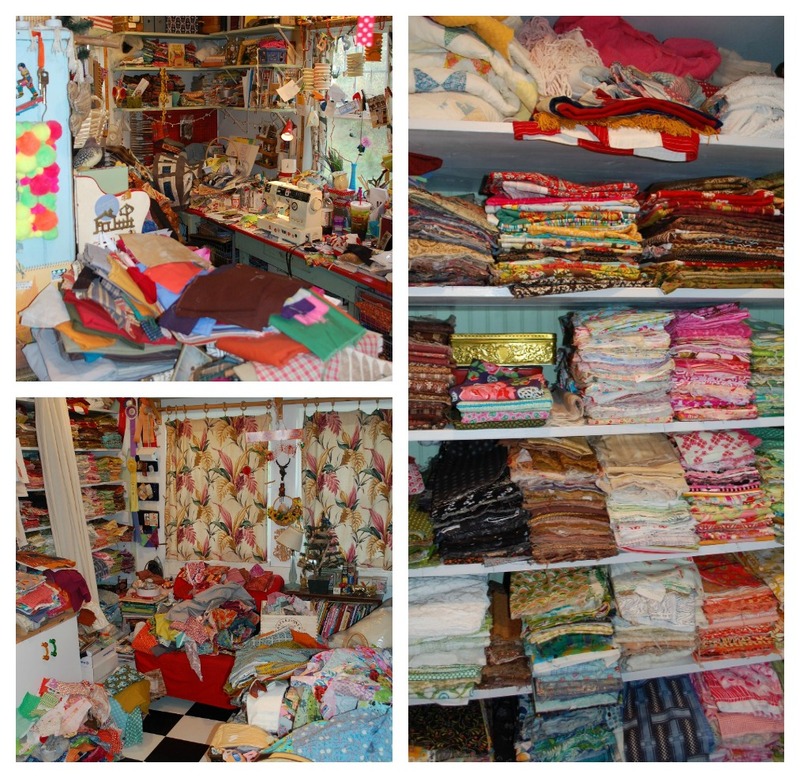 I love my studio, but it is need of a major redo and destash! My wife and I are thinking that we may be moving in the not so distant future. That is hard for me because I built our house and we have lived here 22 years now, so to leave is going to be difficult, but I do know that I would like to have more shelf space and a bigger design wall. I love how much light we have in the current studio, but I also worry about fabric fading and all of those windows limit the wall space. So there is a catch 22 there. I think it would be good to have an ironing station in the middle of the room might be good thing, especially for bigger projects. I have included pictures of the mess, but also many of my favorite little vignettes. They need to be redone, I think January this year will be a big month of clean, clear, and refreshing the whole space. One person? Wow! That’s a tough one. I think it would likely be Anna Maria Horner. Anna Maria is a friend in the twice a year at Market sense, and she and I have had great chats, but I would love to just have the whole day with her in her studio to see how in the world she manages to create and design with all of those kids in her life. I would love to talk to her about how she incorporates her deep faith in God into her work without ever seeming to be preachy at all. I think the world of her, and would love to get the chance to see life through her eyes. But I would also love to visit and work with Sarah Fielke for a day too for similar reasons, except she has way fewer kids! 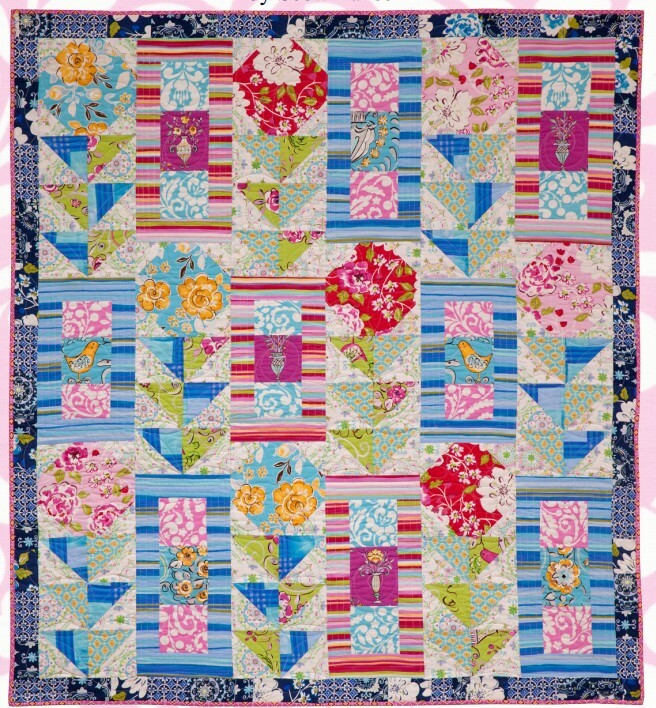 I have a quilt coming out this next spring in American Patchwork and Quilting, my second one to be published in that magazine. I am very happy to be working with them again. It uses David Butler’s new Parson Gray line, Shaman, from Free Spirit Fabrics and it will be great fun! 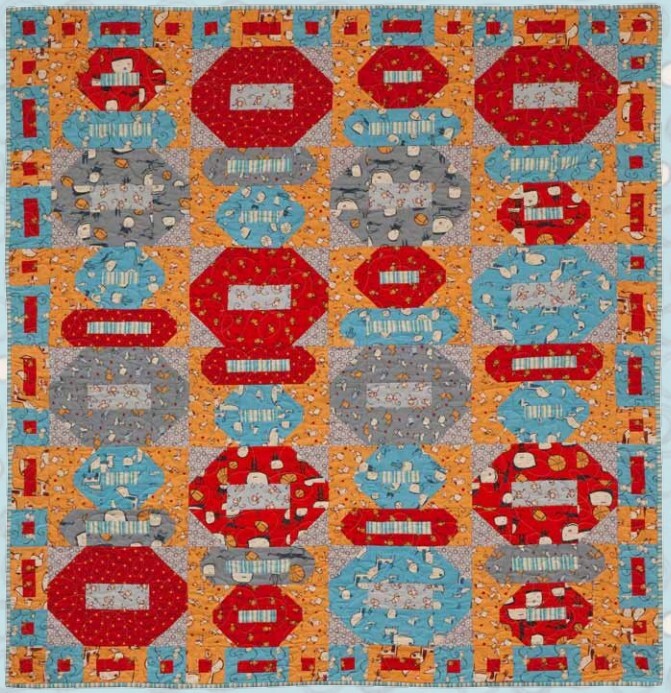 This past summer, I published my first four PDF patterns for sale on Etsy https://www.etsy.com/shop/BlueNickelStudios This fall and winter I have five more coming out: Boom, Fireside Chat, Soup of the Day, Twister, and United Colors. (I truly love naming quilts, I love how these names go with each quilt). I will be teaching at the Quilters Affair event in Sisters, Oregon next summer again (it will be my third time, and I can hardly wait!) I do speak at guilds and other events, but due to my Costco job, I have limited times that I can get out and share. My Mom is the inspiration behind my block, Tossed Salad. One of my earliest memories of my mom that has stuck in my head forever deals with her explanation of why a salad was called a tossed salad. She was showing me how to “toss” it and then some of if fell out on the counter accidentally, and I laughed and laughed at that. It was an accident on my mom’s part, but it worked out in her favor in my eyes. I was probably four or five at the time. 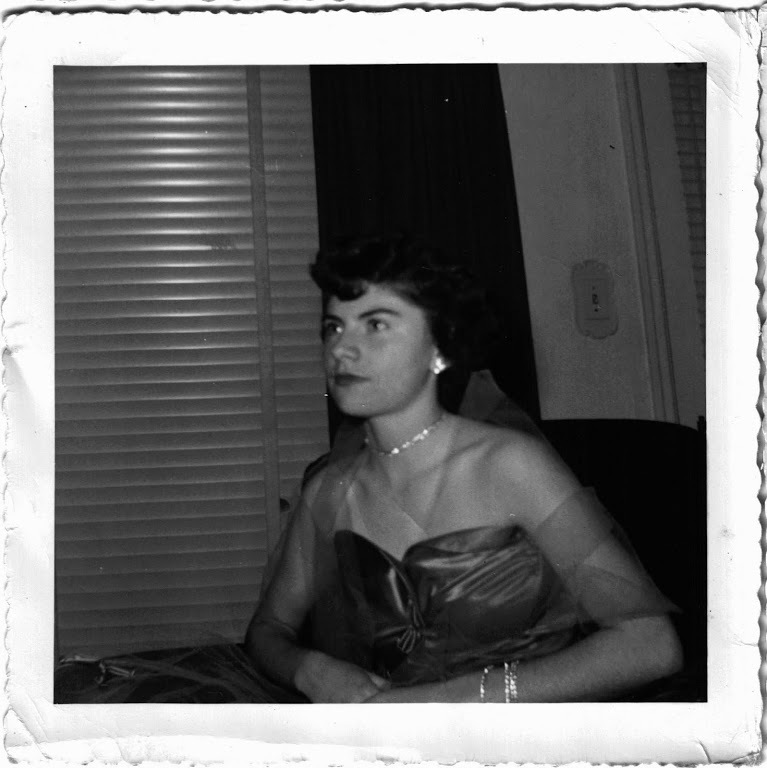 It is my first memory of my mom making me laugh. I am sure she did many times before and after, but that one “joke” has been with me forever. My mom’s health is currently going downhill while she is battling ovarian cancer, we are not sure how much longer she will be with us. We are on a very sad part of the journey right now. I am honored to dedicate this block to her. The Book you are currently reading – Books? No time for books really. Although I did listen to Blue Like Jazz not long ago and I loved it! The snack you crave – Chocolate chip cookies….hands down favorite….as long as they are soft and not crunchy! The Color you have always LOVED..…This is a big surprise for people, my favorite color is not blue…..it’s red! 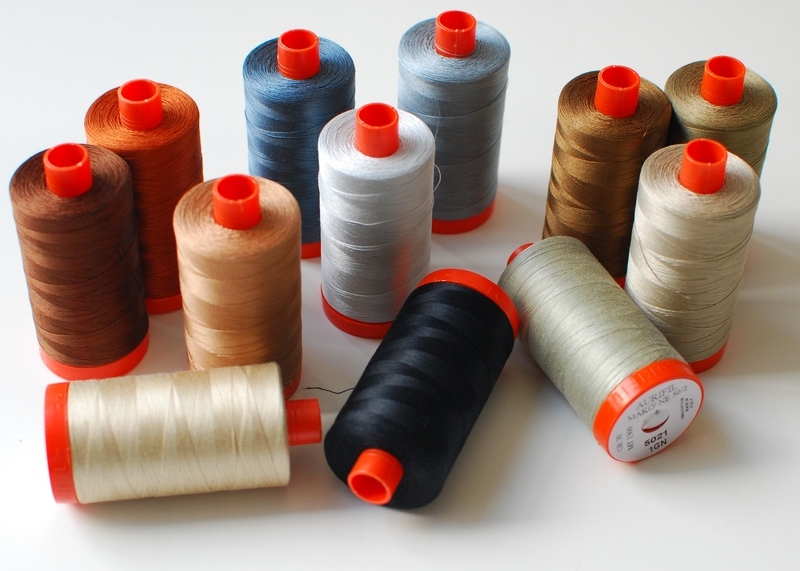 The winner this month is HanneleW… She wins a Thread kit! I love this block. So many options for it. And to name it after his mom makes it special. I do so love reading about all the designers and their stories. Thank you for sharing. 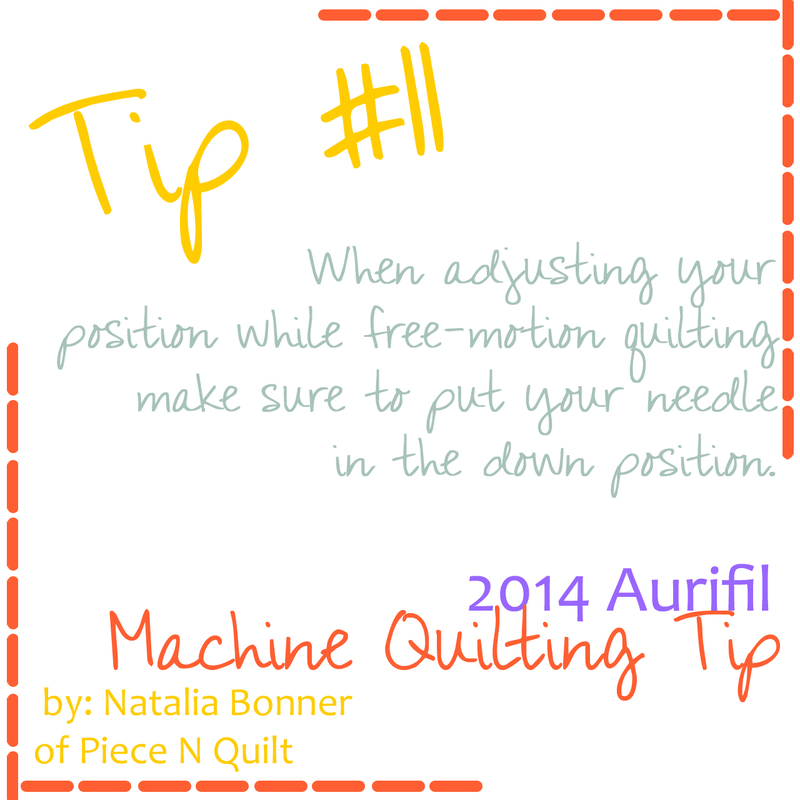 I love the choices of Aurifil colors!! 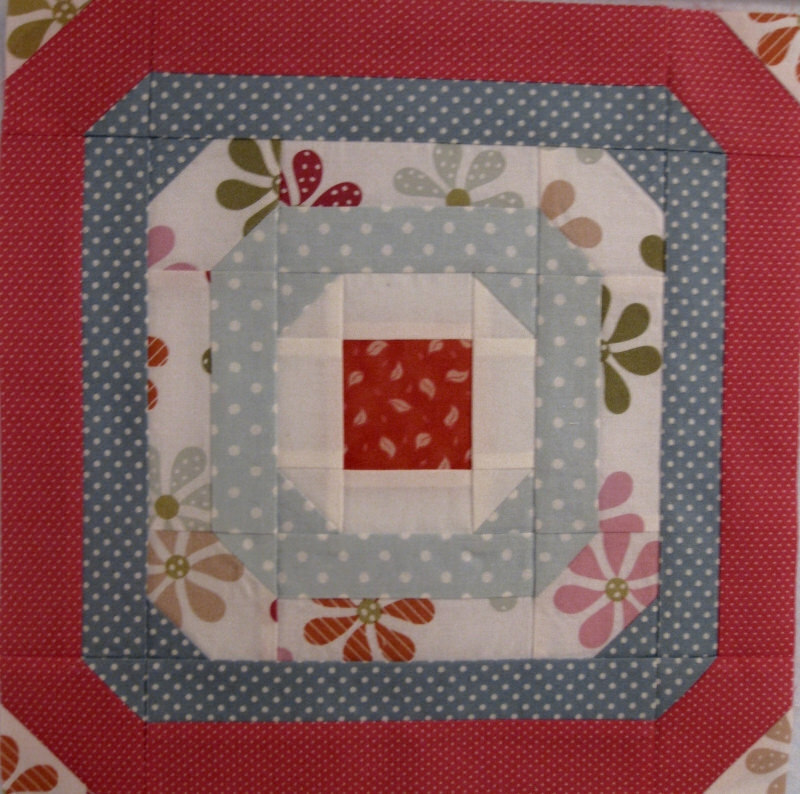 The quilt block looks great and not hard to do. 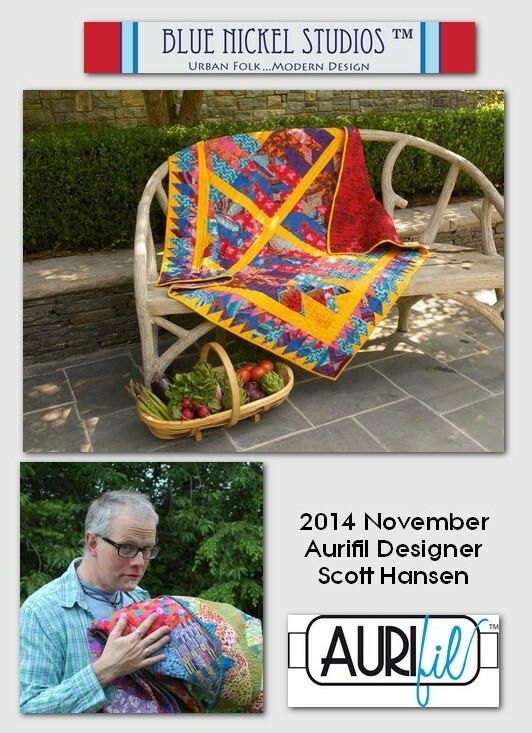 Congratulations to Scott, the Aurifil Designer of the month. 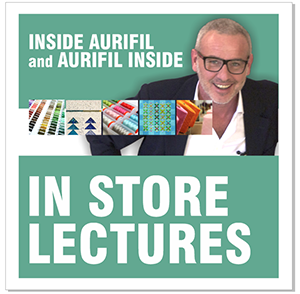 I’m pleased to say that I know him from the quilt guild he mentioned in this interview. 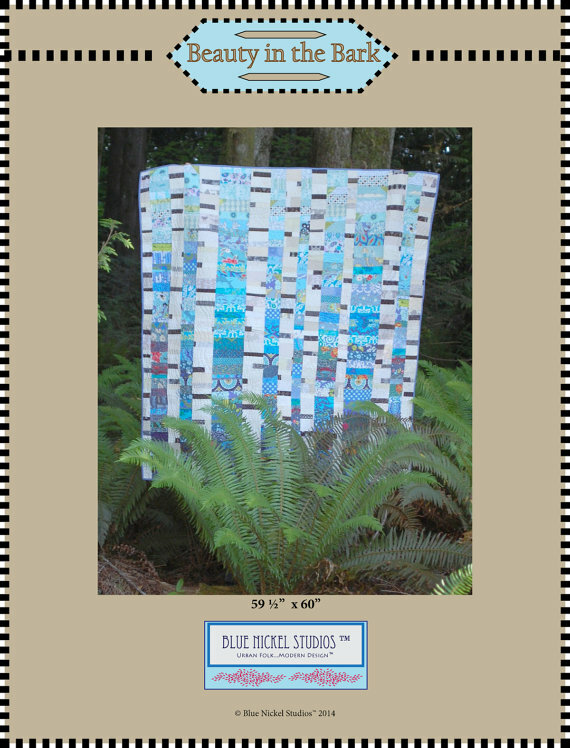 It’s good to see him enjoying success with his quilts and designs. Thoughts and prayers for his family. enjoyed the interview with Scott. Great interview. I love to know that some of the same things that inspire me inspire others. 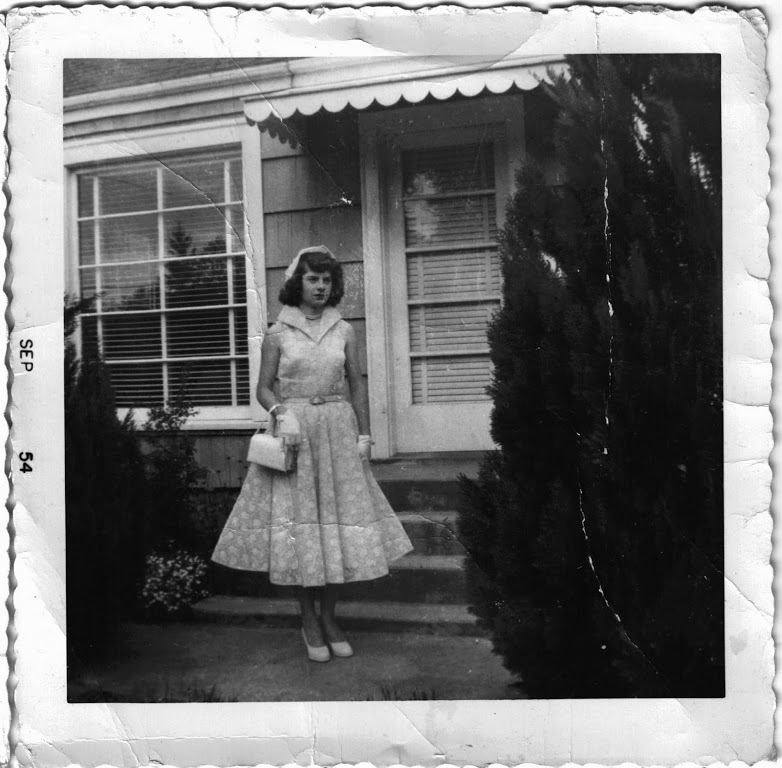 I am going to make the Toss Salad Block and it will remind of my mother, who has been gone almost 25 years, she said I made the best toss salad and I’m going to make her smile about that one once again. Thanks Scott for sharing and thanks Pat for the great piece. I really like this design! Thanks so much for the download. Would be a fun one to work out which colours to use. Love this modern block in amongst the others!……. I am sorry his family is going through this tough time. Thanks for the block Scott. It is one of the best all year! 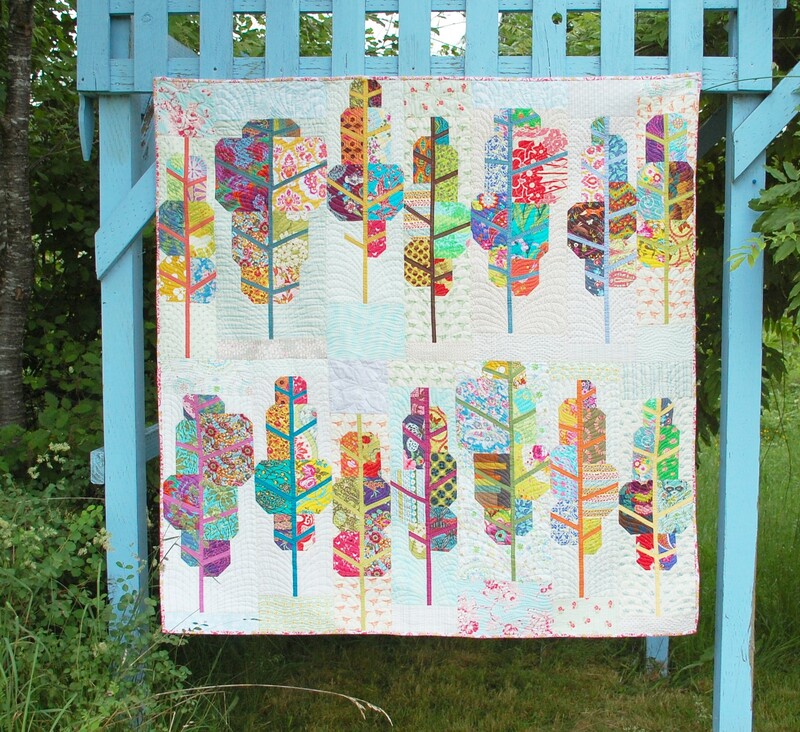 Pingback: Blue Nickel Studios » Blog Archive » November Aurifil Designer of the Month! ME!! Yee haw! I especially enjoyed this month’s interview. Scott seems so down-to-earth and open. So sorry to hear about your Mom. Love the block and the name! I have a similar “tossed salad” memory I share with my grandma. Thanks for reminding me of it. Love the block pattern and the story behind it. Thank you for letting us into your world, Scott. God bless you and your Mom. Thank you Pat for interviewing Scott Hansen. I especially liked the view of his studio! Good thoughts and energy are being sent your way for your Mom and family. I will enjoy making your block. Thanks for an inspiring story and block. I’ve made it using the MQG challenge colours to go into my local guild’s charity quilt for next years Quiltcon. Love , love this block! Thank you Scott! Thoughts and prayers for your mom.